By the time we’re done, you’ll know how to create an online design portfolio to get future employers racing to connect with you. Let’s dig in. In other words, don’t include your most dull, unimaginative work unless you want viewers to think you’re a dull, unimaginative designer! Alongside each portfolio image, the designer explains the client’s goals and how the design achieved them. What’s more, the designer includes a detailed summary of the results from each project – clients can actually trace an uptick in business to the interaction patterns of the new design! 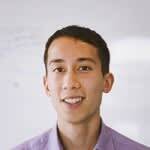 Needless to say, this is the person you want to design your new website. 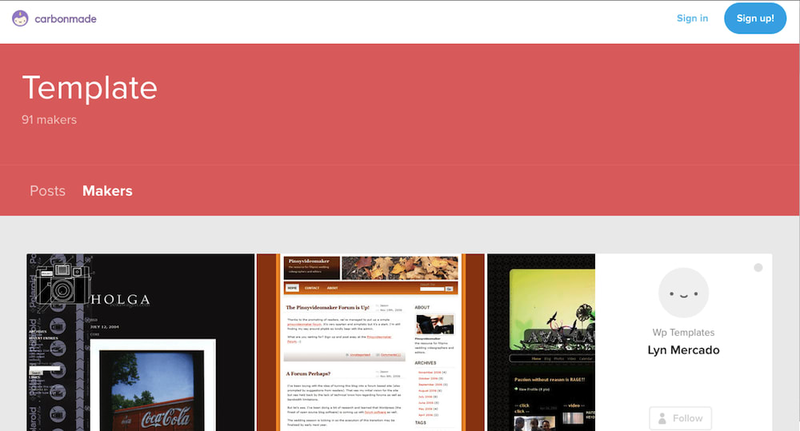 For many designers, the simplest option is a hosted portfolio website. If you don’t want to write code, these are ideal options. 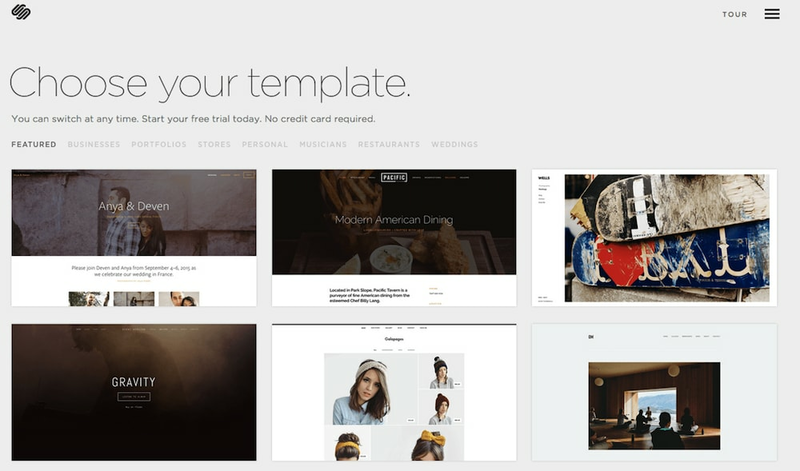 Hosted platforms let you upload images and add content to a readymade layout. Typically, you’ll be able to choose from a variety of design portfolio templates, all of which offer a dedicated interface to highlight your work. 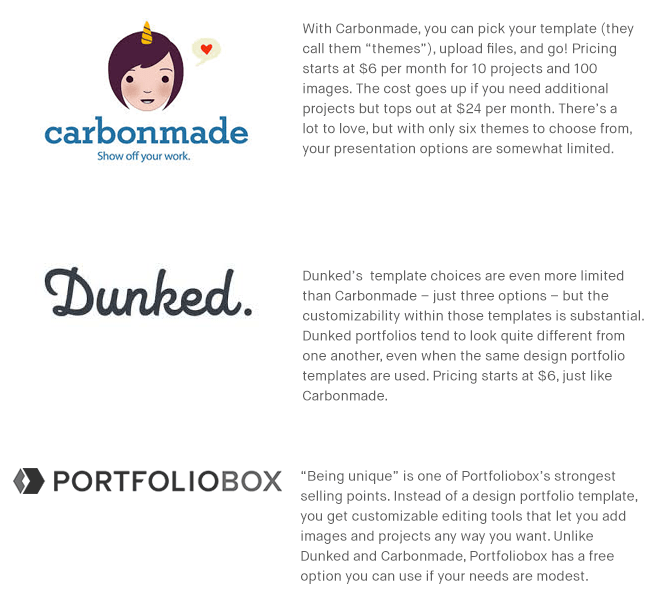 These certainly aren’t the only hosted portfolio sites out there. Check out Sessions College’s list of portfolio sites for more options.3 The important thing to remember is that all these hosted platforms make it easy to publish an attractive portfolio, even if you don’t have coding experience. 1. You need to choose a web host.4 Hosted solutions take care of this step for you (hence the name), but “self-hosted” means you’re on your own. 2. If you can’t build the website from scratch- you still have to choose a platform. It works a lot like WordPress.com – intuitive user interface, a variety of portfolio themes, free software – but with the added perk of access to a seemingly endless array of custom add-ons, or “plugins,” that you can tack onto your website. You can also access all of the code that powers your portfolio, which means you or a developer can customize the presentation to your liking. Alternatively, you could just include your email address and phone number, but that means you’re counting on people to leave your site and use another application (or device) to contact you. Contact forms make you much more reachable.7 And yes, all of the platforms discussed in Step 3 offer contact form functionality. 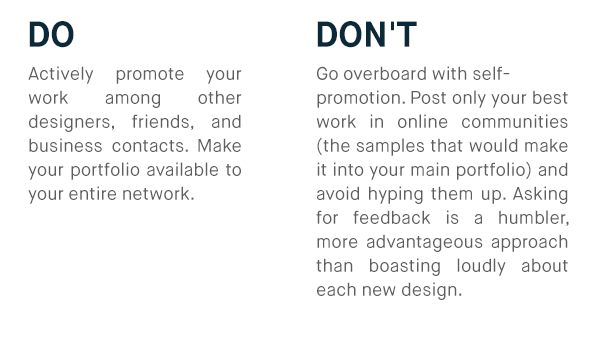 Though technically not a step in creating your online portfolio, promoting your work is key to maximizing the value of your efforts in Steps 1 through 4. A portfolio won’t help you if nobody looks at it! Dribbble: The premise behind Dribbble is that it’s a place for designers to answer the question, “What are you working on?” The community is so popular that many businesses and agencies scour members’ “shots” and “buckets” for fresh design talent.9 It’s a way to network with other creatives and the people who hire them. Anyone can follow, find, or hire designers on Dribbble, but to upload screenshots of your work you need an invitation from a current member. If you’re looking to get “drafted,” make sure you’ve marked yourself as a Prospect in your account settings! Behance: Behance is an Adobe operated, non-exclusive project platform to show and share creative work. The concept is similar to Dribbble, but without the basketball theme or obstacles to upload your own work. It attracts tens of millions of visitors each month, with a larger variety of styles and works than Dribbble. Each day, Behance curators go through every single uploaded project, and feature those works on the front page of the site. This is a fantastic opportunity to get your work widespread exposure. 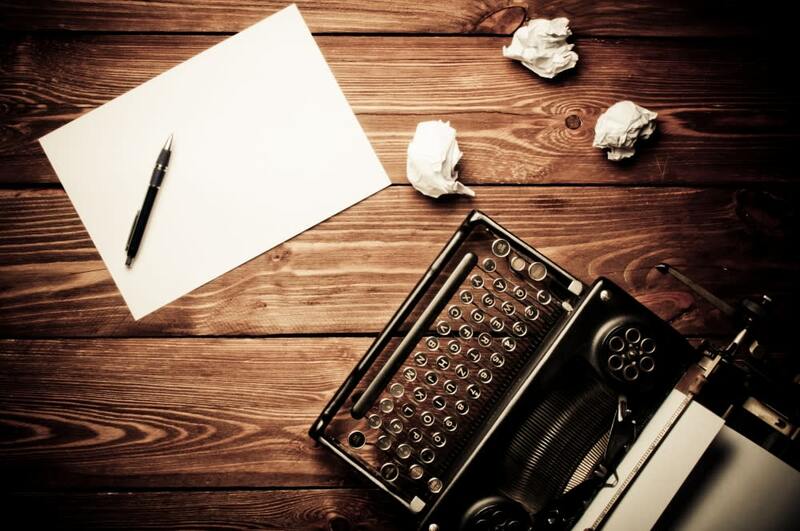 All these websites provide a platform to showcase and promote your work. 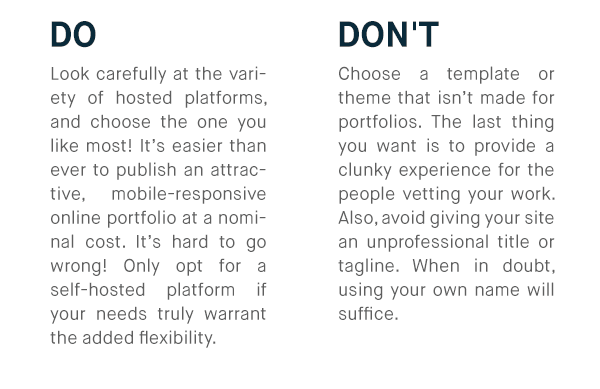 They shouldn’t replace your primary platform – they all let you link back to your website – but you can think of them as an ancillary portfolio you use to draw attention to your primary portfolio. Another way to promote your work is through social media. Let your Facebook friends and Twitter followers know you’ve published your portfolio on the web, and post new additions to your profile, feed, or artist page. 10 Remember: your friends want to see you succeed. If they know where to find your portfolio, they’re more likely to pass your name to a colleague who’s looking for a designer. Seriously, it’s ok to ask. As long as you don’t repeatedly badger for, you won’t come across as desperate or overbearing. Instead, you’ll sound like an honest designer who’s looking for business, and there’s nothing wrong with that!